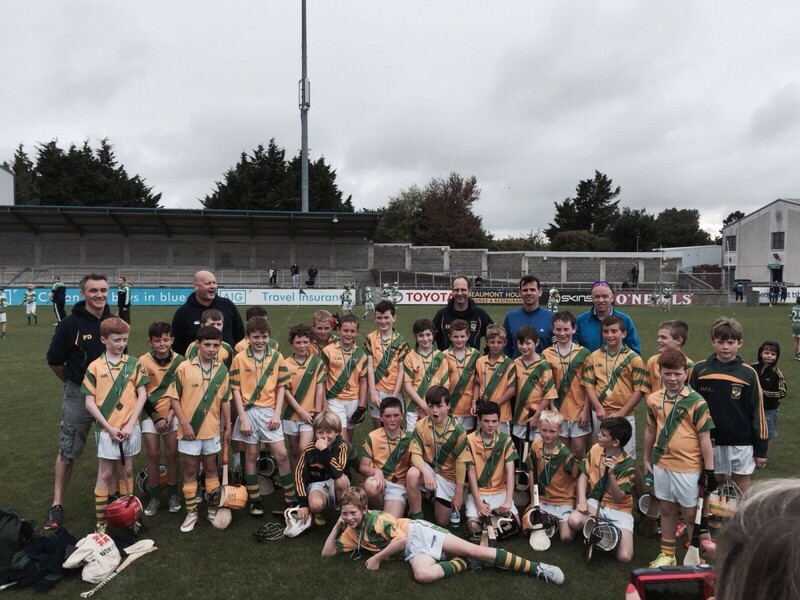 It was a great day’s hurling for the Squad on Sat Aug 22nd experiencing the atmosphere of the famous Parnell Park. This was a fitting reward for excellent performance in the July COMAINT series. The matches in PARNELL were very competitive with a 1 point loss versus O TOOLES and a 2 point win against St Brigids. All the boys received medals for the participation and really acquitted themselves well on the big stage.